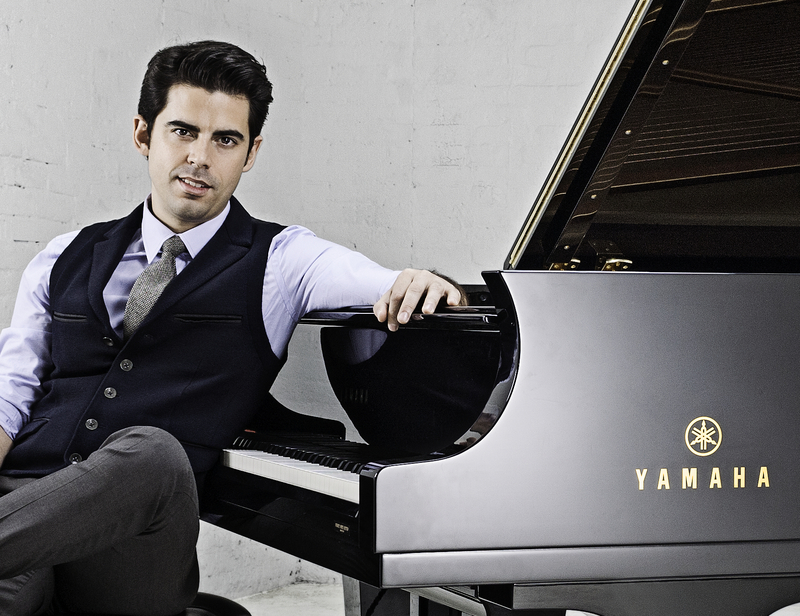 They say “seeing is believing,” but for those lucky enough to attend Opening Night of this weekend’s Houston Symphony Pops concert, “I Love a Piano,” the astonishing performance of pop vocalist & pianist, Tony DeSare, seemed to somehow defy belief. I came somewhat prepared having had the privilege of reviewing the handsome young artist’s stellar performance during the orchestra’s “Sinatra Centennial” concert here just one year ago ( See SinatraCentennial ). Now he returns to literally explode across the keys in a mesmerizing celebration of the instrument he’s been passionately drawn to since early childhood. In this, his final season leading the Houston Pops, conductor, Michael Krajewski, arrived onstage to much fanfare as the orchestra played the exciting opening strains from the classic theme of the motion picture, “ROCKY.” He then led his superb orchestra in Mr. DeSare’s arrangement of the “Evolution of Piano Pop Overture,” describing the comprehensive piece as, “a musical piano history from the 1730’s to the present in ten minutes.” It was all that and more, as its familiar musical tidbits ran the gamut from “Chopsticks” and Beethoven’s “Für Elise,” to DeSare’s rich piano sampling of countless musical moments from tunes like “The Entertainer,” “I Got Rhythm,” “As Time Goes By,” “Autumn Leaves,” Great Balls of Fire,” “Lady Madonna,” “Lean on Me,” and dozens more. Then DeSare stepped forward to cheerfully address the audience with the playful and easy confidence of the concert pro he has become. Tall and slender, his boyish good looks might remind one of the young Ricky Nelson. Quickly back at the piano, his mellow voice seemed one with the piano as he delivered a thrilling rendition of Ray Charles’ “Hallelujah, I Love Her So.” The focus then shifted to the orchestra for the serenity of its smoothly intoxicating performance of Debussy’s lovely, “Clair de lune.” DeSare returned to the stage to perform his original composition, “New Orleans Tango.” With its immediate rhythmic enchantment, the richly romantic piano piece had impressively echoing support from the orchestra. It was a highlight of the program. TONY DeSARE at work in his Peekskill, N.Y. recording studio. Following the intermission there was a haunting and dreamlike, “Imagine,” with DeSare’s arrangement of that John Lennon classic. Then his playful performance of Irving Berlin’s, “I Love a Piano,” had all the requisite joy and lighthearted fun, in addition to a commanding and high-speed finale. DeSare then performed the quiet reflection of his original song, “How Will I Say I Love You?” With its lovely orchestrations, that number reportedly got favorable notice from none other than Sir Paul McCartney when he was in DeSare’s audience at the chic supper club of New York’s Carlyle hotel. Returning to the music of Billy Joel, DeSare’s piano arrangements for “Root Beer Rag,” brought out all the merriment and colorful hoedown-flavors of the work’s bouncing rhythms. I found myself wondering if the Houston Ballet couldn’t develop a pleasing cakewalk suite based on this piece. 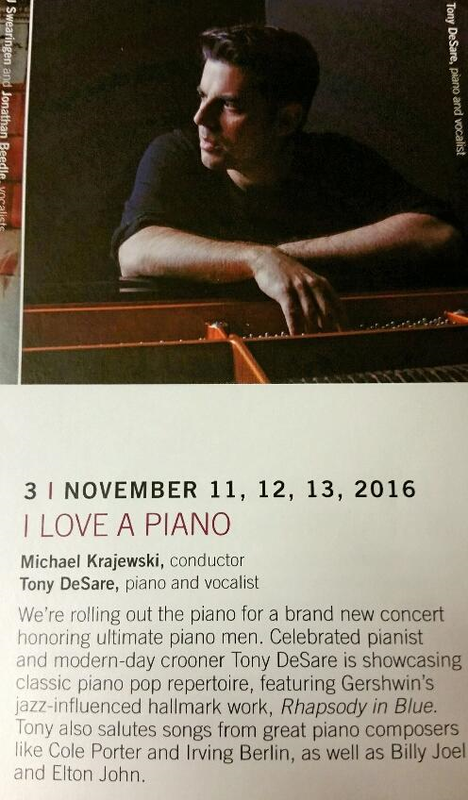 The final Houston performance of I LOVE A PIANO will be Sunday, November 13, 2016 at 7:30 p.m. in Jones Hall. 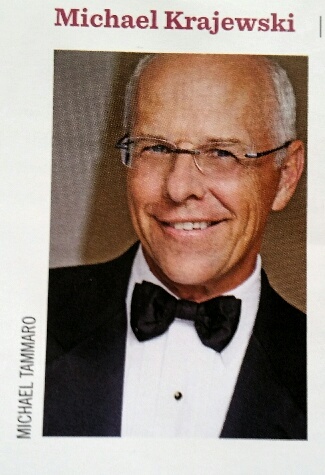 For tickets and information, please call (713) 224-7575 or visit www.houstonsymphony.org. This entry was posted in BroadwayStars.com, Concert Reviews, George Gershwin, Houston Symphony, Houston Symphony Pops, Jones Hall, Michael Krajewski, Peekskill New York, Rhapsody in Blue, The Courier Columns, ThePeoplesCritic.com, Tony DeSare, Uncategorized, YourHoustonNews.com and tagged Classical Music, competition, concerts, Houston Symphony, Peekskill New York, Tony DeSare. Bookmark the permalink. Ohhhh, that one sounds wonderful! Wish I could have seen it. I missed out not living in Houston at the right time.